This small glacier volcano is situated in the Highlands between Iceland’s second biggest glacier, Langjökull and the shield volcano. The name translates to Þori’s glacier, Þori being a troll who is said to have lived in a cave nearby, and jökull of course meaning glacier. Þorisjökull is 1350 metres high, and is a tuya volcano from the Ice Age. Tuya volcanoes are characterized by their flat tops, that result from a volcano erupting underneath a thick glacier. 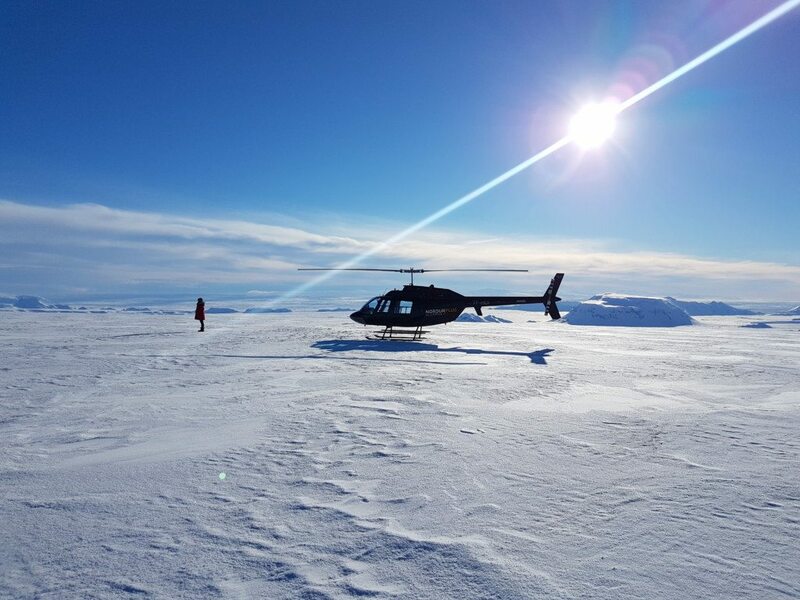 Explore Þorisjökull by helicopter on our Glacier Landing tour and our Fire and Ice tour!